A wonderful idea! 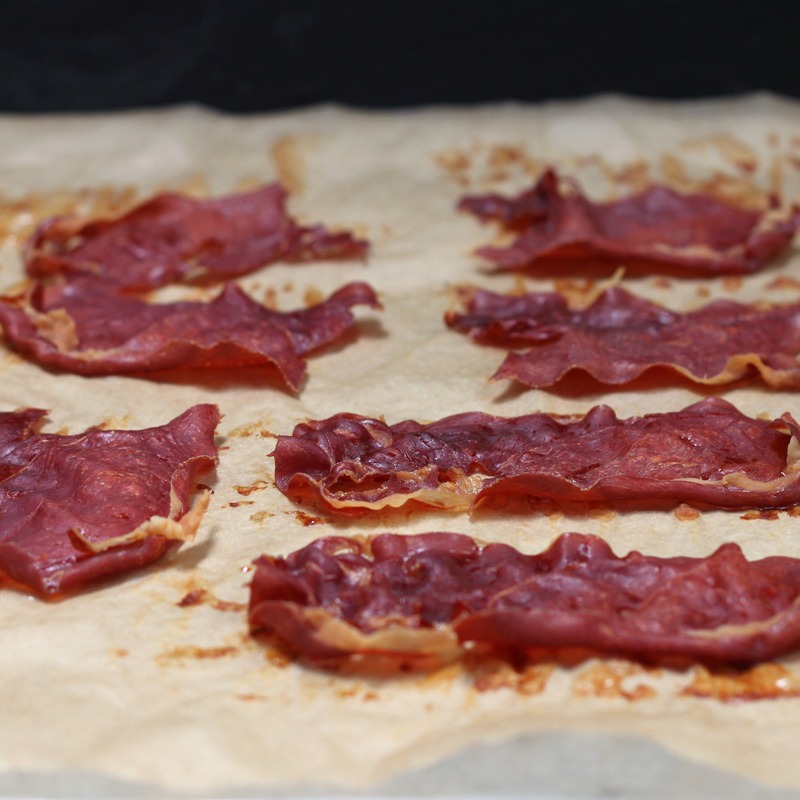 I like the idea of crumbling crispy prosciutto over salads or soups. Thank you for sharing! I like Trader Joe’s prosciutto and it will keep in the fridge for a while . Your way of baking them sounds great. I’ve seen Giada doing that in her show on FoodTV, and wondered about it… with your recommendation, I am ready to go for it. 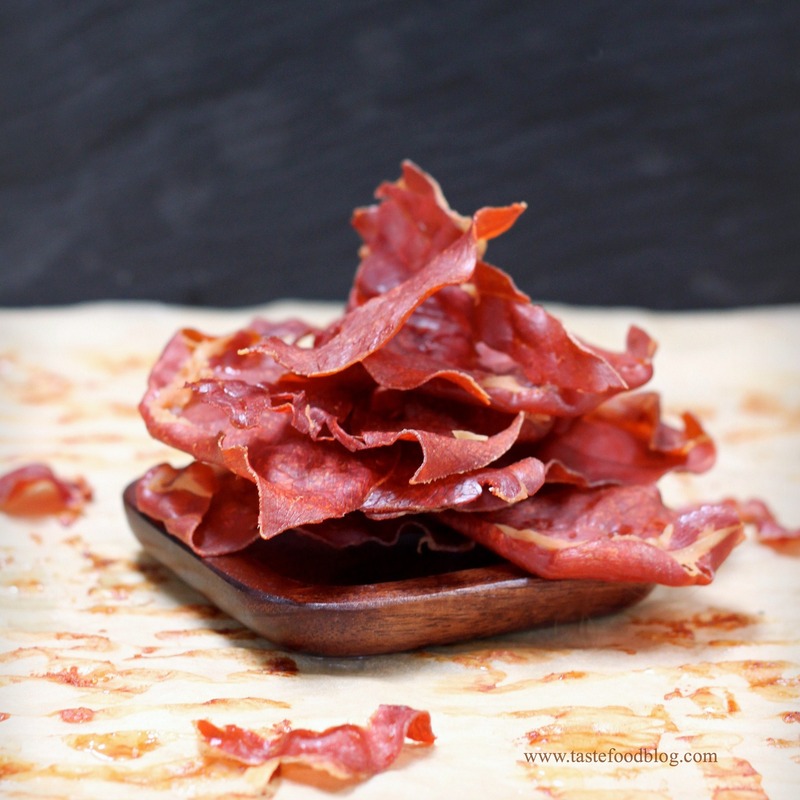 The description of the crispy prosciutto has me dreaming of recipes to try! Especially a warm pasta dish on this cold, rainy spring day. I’ve done this over pasta for Myles, and he loves it!! This is lovely – simple and do-able and with beautiful photos to boot. Thank you. 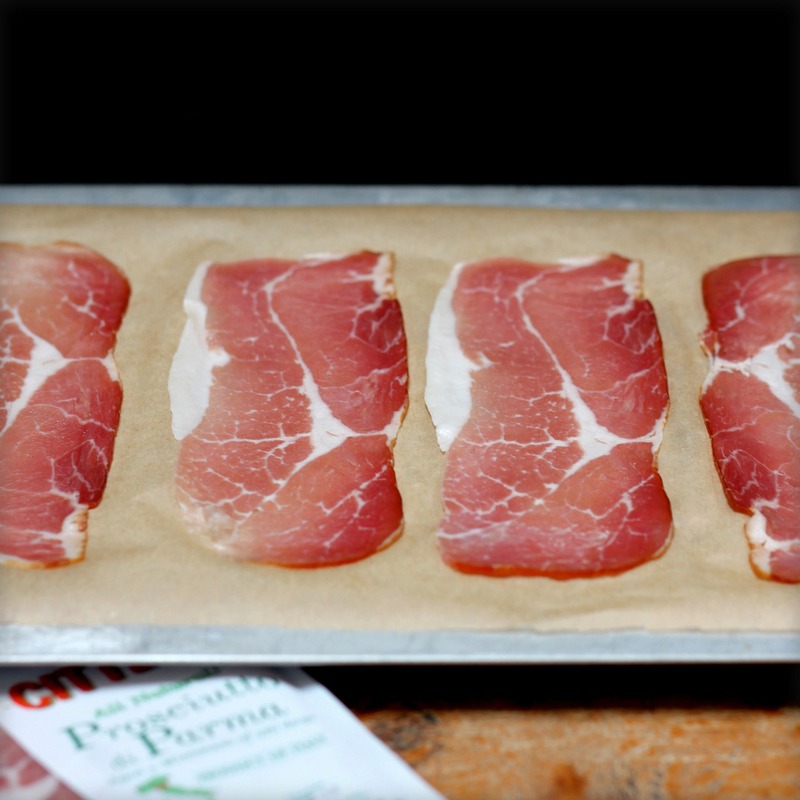 Wow crispy Prosciutto is one of my favourite! YUM….not sure this would ever make it into a dish in my kitchen, I’d probably end up eating most of it like jerky. This is what I call the perfect accessory.